After two days of listening to outstanding pitches and a difficult deliberation session, BlueChilli are very excited to announce the 12 startups who have been selected for the Stockland Accelerator. Skip to the announcement below. BlueChilli’s first PropTech program was made possible because of innovative partner, Stockland. 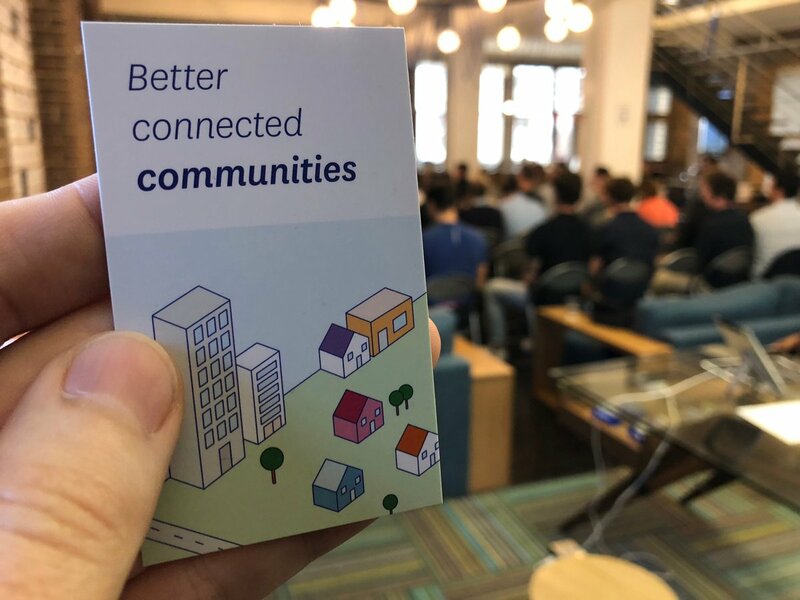 Stockland are Australia’s largest community creator and we’re looking forward to working together with startups that impact the residential, retail, retirement, and workplace property verticals while creating better connected communities. The Stockland Accelerator Bootcamp was a sprint. Founders received a whirlwind education on startup thinking and pitching, and were tasked with interviewing more of their key customers to better define the problems they were solving. 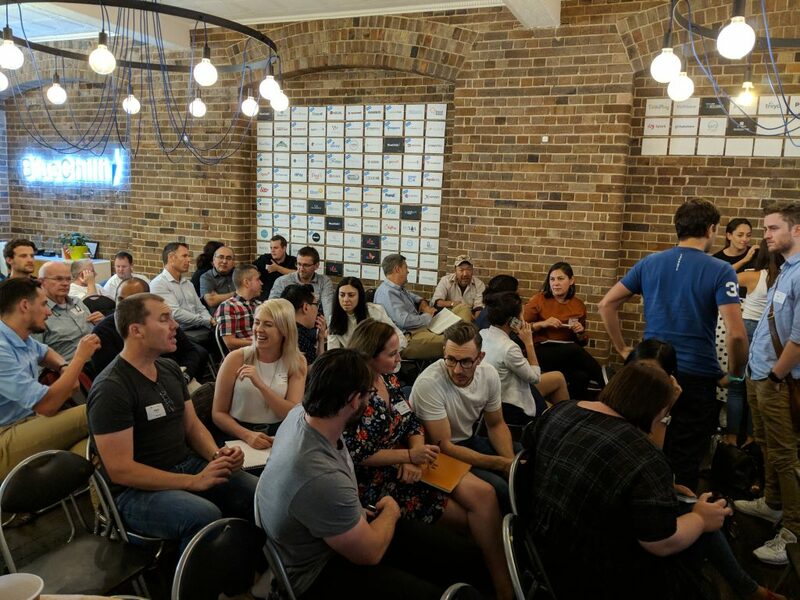 The Stockland Accelerator Bootcamp was the largest Bootcamp ever in Australia with 60 founders participating from 40 startups. Stockland Bootcamp founders on day one. Over the past two weeks, these founders have conducted thousands of customer interviews to validate the problems they are looking to solve and assess the path forward based on their interview responses. Many startups were happy to receive feedback that confirmed their initial hypothesis, while others pivoted based on their discussions with customers – an essential part of the startup process. BlueChilli’s in-house team of Entrepreneurs-in-Residence, Product Managers and Engineers mentored the founders throughout the Bootcamp and guided them through the validation process. The entire BlueChilli team was impressed by the dedication, standard and outcomes the founders were able to achieve in two short weeks. Kicking off in January, for six months the Stockland Accelerator founders will work closely with the BlueChilli team to build a technical product. The founders will also receive training and make connections that will help them gain customers, pilot opportunities and to build their teams to grow their businesses. Additionally, founders will receive a pre-seed investment from BlueChilli of $38,000. The two week Bootcamp concluded with founders pitching their startups to a panel of BlueChilli and Stockland judges. Before the pitches started, Global Head of Diversity & Belonging at Atlassian, Aubrey Blanche took the judges through unconscious bias training. “We are always in awe of how transformative the unconscious bias training is for the judges. Aubrey is a master at contextualising how our own biases get in the way of good decision making, particularly when presented in a pitching situation. Trajctory – Adam Young – making it easier to present, manage and analyse imagery from inspections. Stockland Accelerator participants – more founders attended event online. We would like to congratulate all of the founders who participated in the Bootcamp! We were inspired at the high quality of the ideas and the work the founders managed to achieve over the two weeks. We know some of founders have learned invaluable lessons in the two week Bootcamp from BlueChillian’s, their mentors, Stockland advisors and their customers. During the Bootcamp we held a masterclass about how to create the perfect pitches, and the judges were really impressed with the calibre of pitches from the early-stage founders. BlueChilli looks forward to following the progress of all of the founders as they continue to work to implement their ideas that will transform the property industry. Thank you all for your applications, contributions and connections as the startup ecosystem gets better when we all get the opportunity to work together. The Stockland Accelerator is BlueChilli’s next startup accelerator program focusing on PropTech. Sign up to our email newsletter to stay up to date with BlueChilli and Stockland Accelerator news.